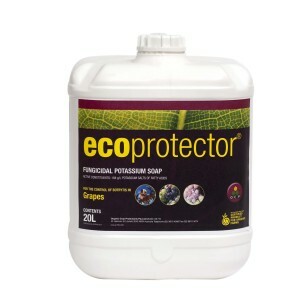 eco-protector was developed in New Zealand from a need by producers there to access environmentally benign and residue free fungicides. eco-protector is effective against a range of diseases in horticultural crops but is most effective against Botrytis cinerea in grapes. 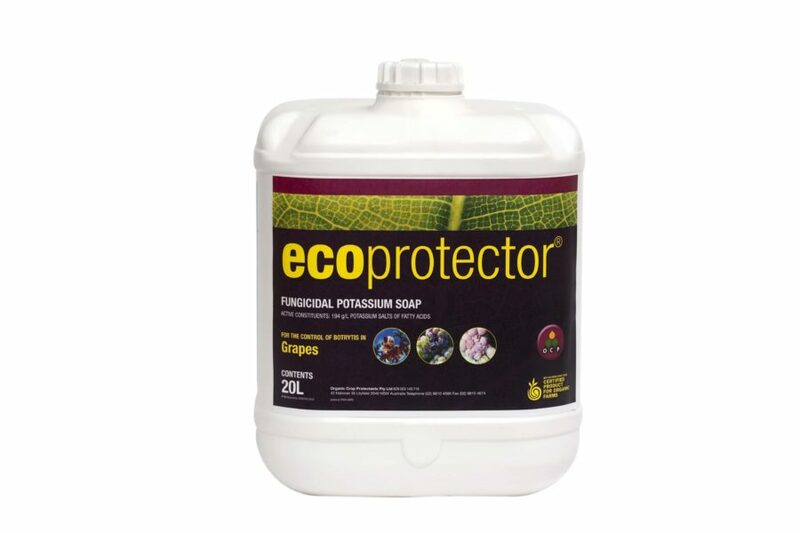 When used as part of an integrated disease management program, eco-protector will control Botrytis to a level equal to conventional Botrytis fungicides without the limiting factors of long withholding periods and resistance managment. eco-protector is a valuable tool in the management of Botrytis in grape vines for both conventional and organic wine grape growers. 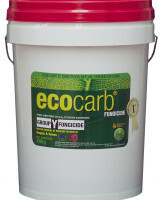 eco-protector can be tank mixed with ecocarb, copper and sulphur sprays making it a versatile organically registered fungicide. Recent studies have indicated the addition of eco-protector at 0.5% v/v will signficantly improve the efficacy of suphur and copper sprays.